is the premier industry hairdressing magazine and is an authoritative source for news, reviews, interviews and tips for the busy salon professional. It defines trends from the worlds of fashion and celebrity. 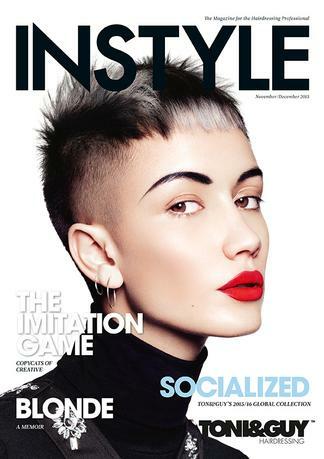 INSTYLE is an invaluable educational tool for the nation’s hairdressing community, and provides new product information, salon and company profiles, star hairdresser interviews and entertainment news from the worlds of fashion and celebrity. Published six times a year, INSTYLE is a market leader in one of the nation’s strongest business niches. A modern magazine keeping hairdresser&apos;s and clients up dated with the lastest in the hair world!everything you need to know about hair.